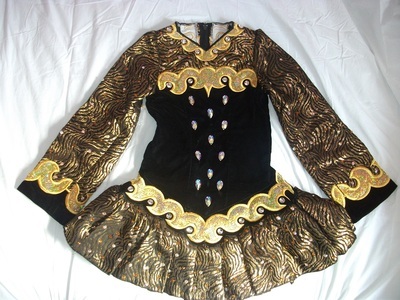 Immaculate and well cared for Gavin Doherty Dress for Sale. 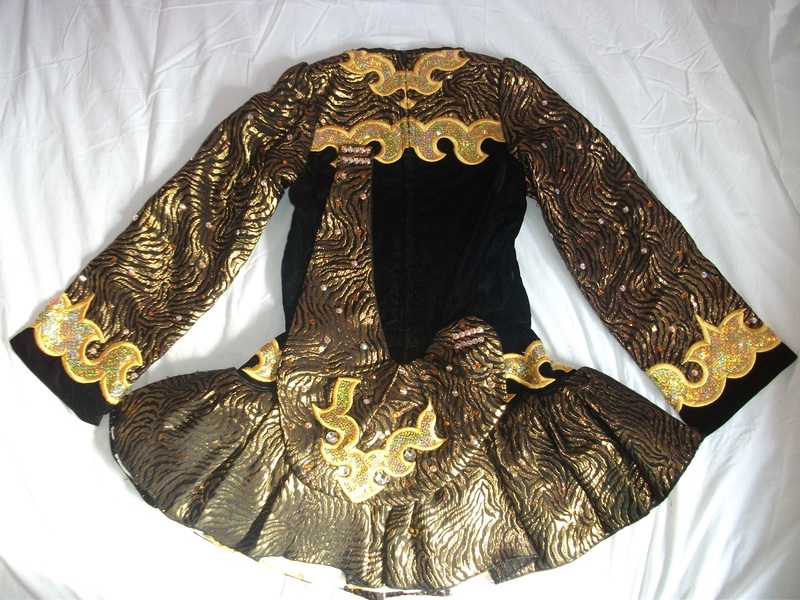 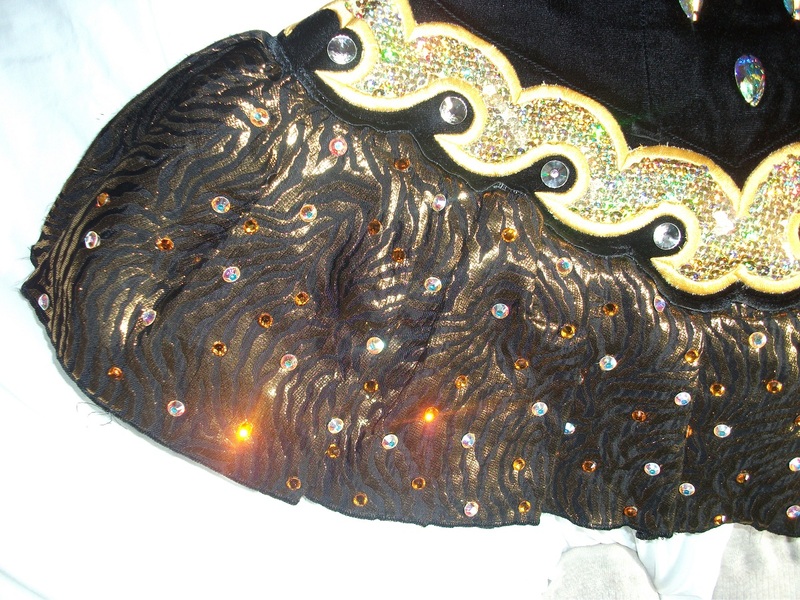 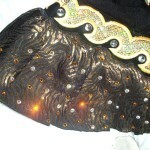 Black Velvet Bodice with gold and black zebra print skirt and sleeves, adorned with sworovski crystals. 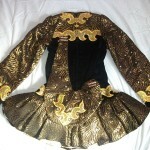 Dress comes with Black pants and matching gold hair band.